Excel London has appointed a new chairman and extended the role of its head of events in preparation for the 2012 Olympics. 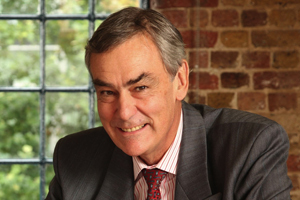 Former Emap group managing director Sir David Arculus has been unveiled as the new chairman of Excel London, replacing Tom King, who steps down after nine years, but continues as a non-executive director. Arculus career has also included senior roles at Clarion and Miller Freeman (now CMP) and has also served time as chairman of Earls Court and Olympia. Excel chief executive Kevin Murphy said of the appointment: "This is a very exciting appointment for Excel London. David will play a major role working with the Executive Team to deliver phase two and three of our expansion plans and I look forward greatly to working with him again." Meanwhile Excel's group head of events James Mark has had his remit extended to include the newly created position of Olympic project director. Hosting seven of the 24 Olympic events and five of the Paralympic competitions, Excel has more events than any other Olympics venue. "James will still head up the event management team but will now be the sole conduit for the 2012 London Olympic Games, reporting directly to the executive management board of Excel London," Murphy explained.